Our 19 sq. 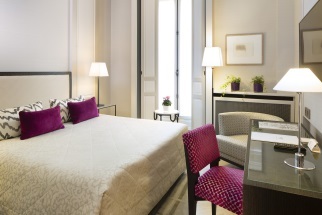 Classic Rooms are equipped with a large bed of 150 cm. They are located from the 1st to the 6th floor. Some bathrooms have a shower, others a bathtub, some of them have a bidet. Please notify your preference upon reservation. We will do our best to accommodate your request.